Grosgrain: YOU CAN PRINT ON FABRIC WITHOUT ANYTHING MORE THAN FABRIC AND YOUR PRINTER! 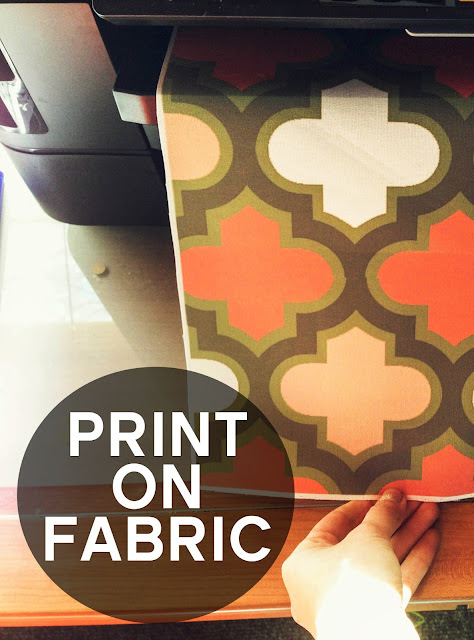 YOU CAN PRINT ON FABRIC WITHOUT ANYTHING MORE THAN FABRIC AND YOUR PRINTER! First off, this is important, the fabric I used to print on without any backing was like a heavy weight WHITE canvas (not exactly canvas but something like it. I bought it in the bottom weights isle at Joanns). And it only ran through the printer when I ironed it and cut the top edges straight and clean. Secondly, it did not work perfectly every time. The majority of the time it worked fine. 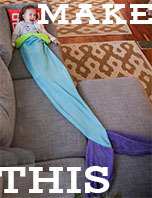 But yes, sometimes it the fabric would do something funny and I'd have to start all over which might be a problem for you if you're printing something large and are worried about wasting ink (which I have some tips to get the most out of your money which I'll get to later). Thirdly, you can print on lighter weight fabrics but you'll have to iron on freezer paper to the back or use something to stabilize it. I haven't tried it yet but when I do I'll give another tutorial on that. For now, I'm mostly doing home decor projects for the nursery and sewing room but I'm sure down the road (very soon) I'll be wanting to print on more clothing-weight type material. 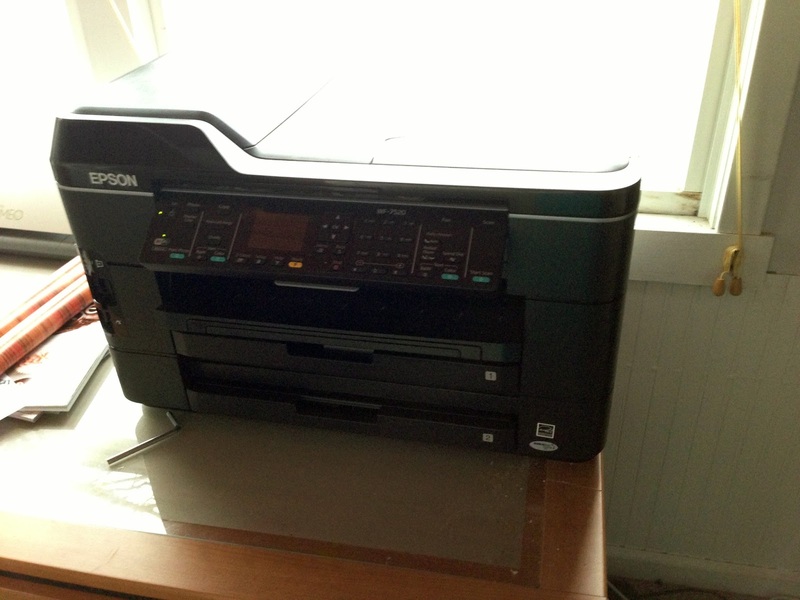 Fourthly, I recently bought a brand new wide format printer recently, Epson Work Force 7520. I assume not every printer is the same so what works for me might not work for you. This is what I found from using my printer (which I highly recommend). It's not as wide format as they can get (those are thousands of dollars) but it can print up to 13"x44" which is pretty cool and best of all it was only $230. PLUS, it can scan up to 13"x19" which is a big deal when you're trying to digitize patterns. In other words, it's awesome. I love it. Here's the printer at Staples if you too are interested. BUT, here's one model lower, 7510, which as far as I can tell does everything the 7520 does except it only has one paper try instead of two and it's $50 cheaper. You can only get it online but it has free shipping. 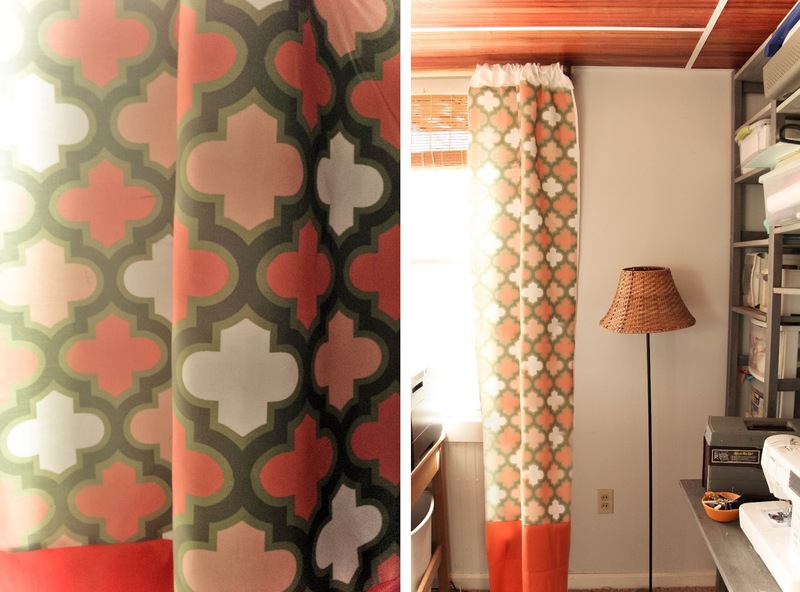 I'm going to start by showing you how I printed the fabric on these curtains. 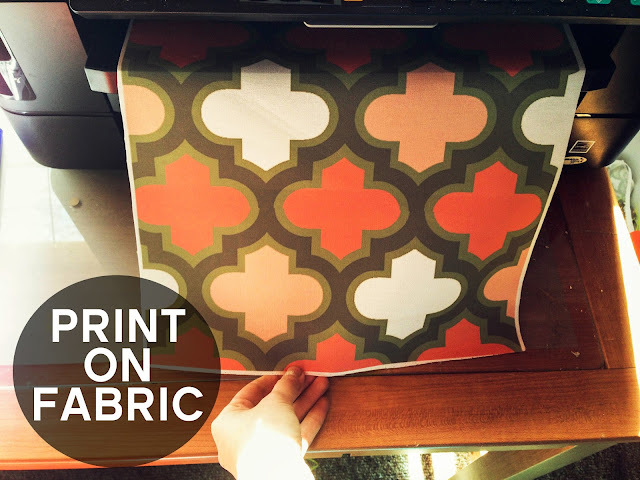 If you like the pattern and would like to print it yourself here it is, public domain free to download and change. Enjoy! (PS. when all is said and done with fabric and ink it's not that much cheaper to print fabric yourself AND it's work. So unless you've scoured the internet for what you want and it just isn't there, try and buy the fabric and save yourself some elbow grease;-). Then, I cut a piece of white heavy weight fabric 12.5"x44". I cut the top straight so the edge is clean and square. I also used some spray starch and ironed it flat. Then I placed it the top edge in my printer tray flush with the edge. Since the fabric is 44" long it doesn't fit in the tray which is fine if you're printer will print longer than 11.5" which many do! When you go to print be sure to specify a "custom" size in the menu. If it lets you type in 44" then you should be good to go, if not, bummer:-( Also, I had to hold the end of the fabric as it fed into the printer because it's so long and tends to just fall out if you don't but once it's fed and starts printing it's okay to let go. You might have to play around with the color to get a saturated enough look. I used Photoshop to adjust the Gamma Correction on the Exposure and that helped to get the saturation in the fabric that I desired. But here's something you need to know. 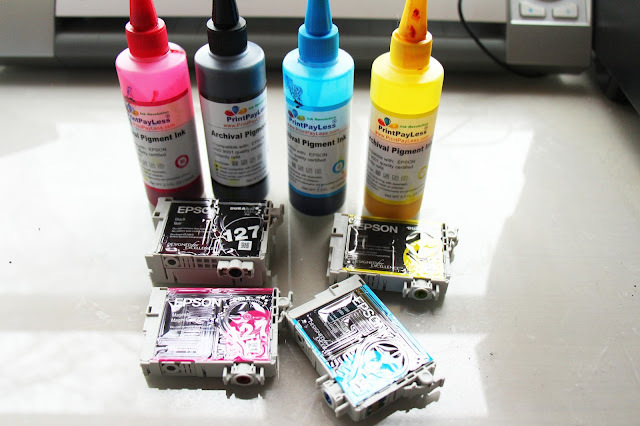 The cheap inks you buy on the internet (the kind you refill) tend to not saturate as well. My Epson ink that came with my printer saturates WAY better than the cheap stuff I bought to refill with. I had to compensate with the saturation in Photoshop to get the same result with the cheaper ink. Total= $66.48 x5 (times five because that's about how more much ink you get from each Print Pay Less bottle)= $332!!!!!!! So, even though you have to play around with the saturation a bit and probably use more ink in the process I STILL think it's worth it. I have other stuff I'm doing....Check out my Instagram account for two more pieces I'm working on. I'll post about them later when I'm finished. For now, hope you enjoyed the chair and feel free to ask any questions you might have. Enjoy! wooooowww sooo pretty! Hmmmm better start saving for a new printer hahahaha BTW Did you see if it's color fast .. you know if you get a spot on your chair can you wash it off? I'm going to go ahead and say that this is a copyright infringement - perhaps amy butler would not be so keen on this idea. designing your own fabric would be a better idea. This kind of upsets me. It's cool to print your own design but taking someone else's work and printing it is not ethical. They designed it and should make a profit from its use. I do recommend buying the fabric in the post. The only reason I didn't was because it wasn't in the right colors I needed. "I loved the original design of the fabric would have gladly just bought the fabric on Etsy since it's not that expensive but the colors offered for this pattern did not match what I needed for the room so I took the image and changed the colors to what I needed in Photoshop. Then I took that image and made it 13"x44". (PS. when all is said and done with fabric and ink it's not that much cheaper to print fabric yourself AND it's work. 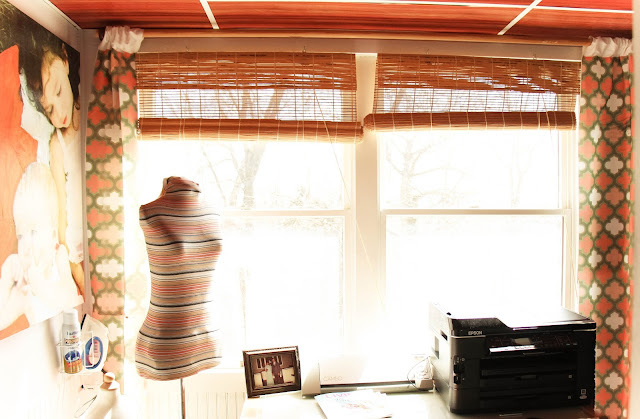 So unless you've scoured the internet for what you want and it just isn't there, try and buy the fabric and save yourself some elbow grease;-)." that really doesn't matter. 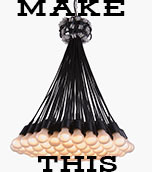 you've stolen a design by a designer that has a copyright on her work. Here's a simplified explanation of copyright law as it pertains to fabric. @GretchenI read over that and it seems that it pertains to products that you are reselling or making a profit from. This is a project that I've made in my home that I'm not making a profit from. Of course I realize (and I would hope others would realize) that I can't make this and sell it. But I'm just trying to give advice to someone who is having trouble finding what they're looking for for personal projects which I know has happened to me quite often. 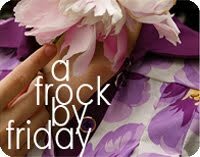 So, I don't desire this blog to be anything but fun and informative and I apologize if I upset you. Therefore, I replaced the photos with another project I completed with a public domain design I altered. The design is free to upload to anyone who wants it. Great work, I love it. Thank you so much for sharing! What about washing the printed fabric? Do the colors stay? You did great job! I've been interested in fabric printing for other types of projects, but it never occurred to me that I could print curtain fabric! 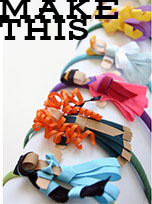 lol that is just really nifty! Wow just great vintage fabrics. Great work, I love it. Thank you so much for sharing!